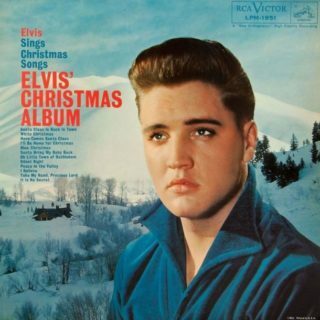 Elvis White Christmas Song by Irving Berlin There are many articles about the Elvis’s White Christmas recording of the Irving Berlin song controversy in the media since 1957. 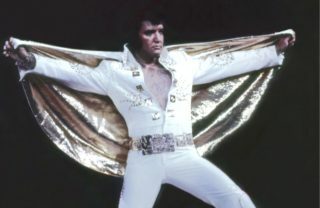 However, at the time nowhere is there any mention of Irving Berlin trying to get Elvis’ version of White Christmas banned? 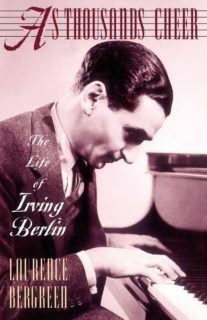 The fact is that the story doesn’t seem to appear at all anywhere until 1990 when Laurence Bergreen included the anecdote in his acclaimed biography of Irving Berlin, “As Thousands Cheer”. 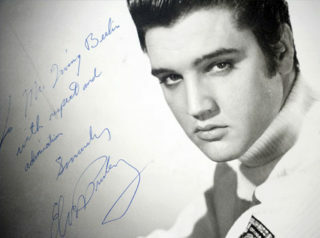 There, we are told that, on hearing the recording for the first time, “he immediately ordered his staff to telephone radio stations across the country to ask them not to play this barbaric rock-n-roll version.” In the notes for the book, Bergreen lists an interview with Walter Wager as the source of the information. Wager was a novelist and an executive of ASCAP. The question raised here as to how Wager knew this information if he wasn’t with Berlin at the time. In fact, this could easily have been a story that Berlin told to him at a later date, and that Wager repeated in 1980s to Bergreen.